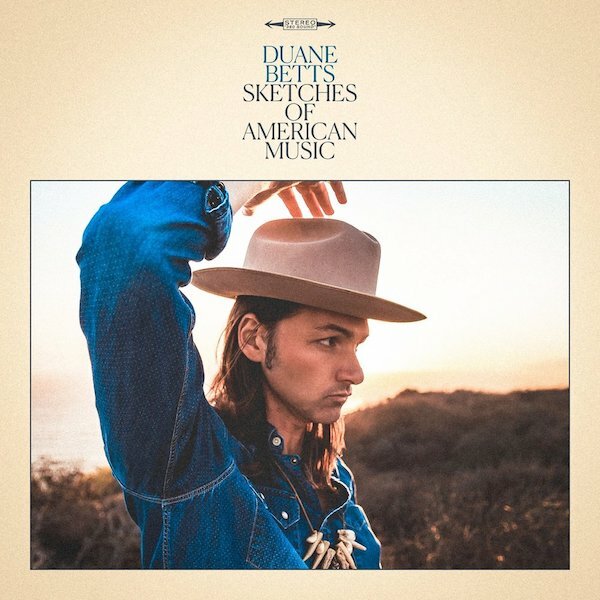 Weekly 40-Watt #9: Duane Betts' 'Sketches of American Music' — Sorry, Internet. duane betts performing with devon allman. The younger Betts has performed with his father and with the Devon Allman Project (son of Gregg Allman). The family ties have naturally crafted Betts’ own musical palette, and Sketches of American Music is an appropriately titled debut effort that explores the niches best traveled by ABB and their offspring’s work. At nearly 30 minutes, Betts almost has enough work here for a full-length, but the shorter format serves him well as he finds elbow room in his wheelhouse. Opener “Taking Time” delivers some straightforwardly harmonic rock’n’roll with a country or Southern lean to it. You can tell this track was recorded so it could be played with only four or five people on stage, but it’s also written with the potential for plenty of improvisation when performed with a bigger band. This is a strong leadoff track that segues into the grittier blues rock of “Downtown Runaround.” There’s a great organ portion that you want to take over the track around the 2-and-a-half-minute mark, but instead there’s a rewarding back-and-forth guitar solo that’s got some good thump to it. This far into the EP, I was a little surprised at how rock-forward the tracks were leaning. Getting to the middle of the release is where things slow down a bit. “When We Get Home” is meant to be a ballad built around a soulful croon of, “Can’t you see that you are not alone? / We can talk when we get home,” but I found it to be a little underwhelming. The track does have some nice texture with an electric and acoustic guitar, though Betts tops himself on that element during the closing “Ride It Out,” a song highlighted by its more country flavor. “California Blues” is the other primary takeaway from the EP. The track is a cover originally recorded by his father’s band, Dickey Betts and Great Southern. This is probably what many people come to the EP expecting, as Betts takes a nice guitar solo about halfway through the track and again plays at a high level during an outro that slowly builds into more frenetic soloing. The EP rounds out with a by-the-books acoustic ballad, “Think I’m Doing Well,” which is a nice song in its own right before “Ride It Out” ends on a higher note. I probably won’t spend too much more time with Sketches of American Music, but it was an enjoyable listen in the context of learning more about The Allman Brothers and having a moment with this type of music. Speaking more generally, listening to this EP has gotten me interested in Betts’ involvement with Devon Allman as they’re scheduled to release an album and tour this year as The Allman Betts Band. Being still unfamiliar with other contemporary blues-rock artists on any significant level, it seems like it’d be a fun show to catch. And to its credit, Sketches of American Music does deliver a couple of tracks that I’ve added to a couple of my ongoing mega-playlists which I listen to often — a good reward out of any new listen.